HomeCIE Spotlight: How does infection alter animal migrations? 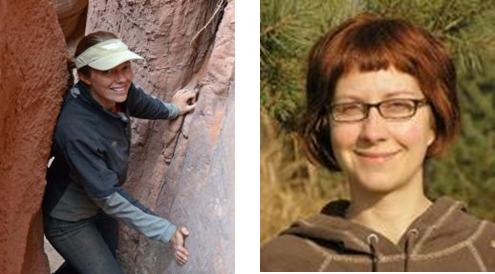 CIE Spotlight: How does infection alter animal migrations? Bethany H. and Silke B. Title: How does infection alter animal migrations? Authors: Hoye, Bethany J.; Bauer, Silke S.
Brief summary of the paper: Migratory animals are thought to play a unique role in parasite dynamics and disease epidemics, both within and between resident communities. The importance of migration in disease ecology is, however, neither well established nor straightforward. Critically, the role of migrants may be complicated by the infection process itself, as animals must become infected prior to departure and be able to migrate successfully whilst infected in order to transport a parasite from one location to another. Adding to limited empirical data on the effects of infection on animal migrations, we show that Bewick’s swans naturally infected with avian influenza virus delayed departure and traveled shorter distances during spring migration compared to uninfected individuals. Similarly, monarch butterflies infected with a protozoan parasite exhibited shorter flight distances, slower flight speeds, and lost proportionately more body mass for the distance flown; and during spring migration, passerines passing through a stop-over site later showed higher intensities of haemosporidian parasite infection. These disparate examples indicate that parasitic infections may alter migratory behavior through several potentially overlapping mechanisms. Infection may increase the cost of movement through changes to physical resistance or aerobic capacity; it may reduce the rate of energy accumulation prior to migration through decreased assimilation efficiencies and loss of appetite; or it may increase the rate of energy consumption during migration, with resources diverted to either the parasite or to the immune system. By incorporating these processes into a mechanistic model, we assess the degree to which different types of parasites may alter animal migrations.